3B turned out to be one hell of a close race as Wade Boggs, Chipper Jones and Matt Williams all duked it out, but in the end, Chipper proved to be victorious. Way to go Larry! Now it's time to tackle the final infield position, shortstop. The 90's marked the end of an era and the beginning of another at this position. While guys like Ozzie Smith, Barry Larkin, and Cal Ripken were winding down their careers, young phenoms named Jeter, A-Rod and Nomar were eagerly awaiting to fill their shoes. This poll should prove interesting to say the least. 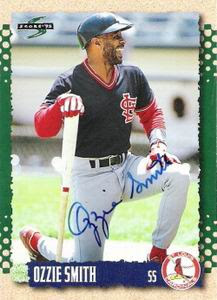 Notes: Jeopardy question: His award in 1993 broke Ozzie Smith's string of 13 straight Gold Gloves. Answer: Who is Jay Bell? Bell certainly doesn't have the flashiest glove or the biggest bat compared to the rest on this list, but nonetheless he was an integral part of Pirates and D-Backs in the 90's. Notes: When he was first starting out in the late 90's, Nomar appeared to be destined for Cooperstown. 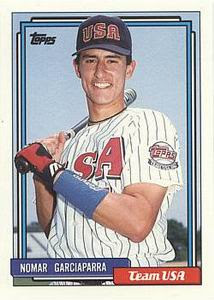 Now his career is teetering on the line between HOFer and former All-Star also-ran. One can't argue his abilities early on. His .357 AVG in 1999 was good enough for a batting title and other than Ichiro, no one else has topped .350 in the AL since. Notes: Then there's this guy. 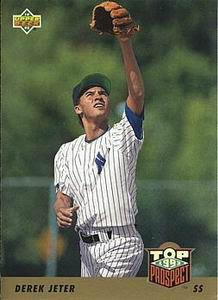 Winner of the AL ROY the year before Nomar, Jeter was another member of the new shortstop regime. Known for his glove and his bat, Jeter has gone from young phenom to the face of the Yankee franchise. 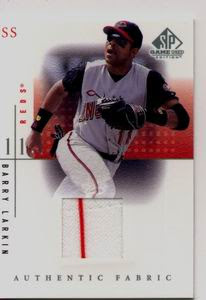 Notes: Looking at the decade as a whole, it's tough to argue against Barry Larkin. 3 Gold Gloves, 7 Silver Sluggers, 1 MVP, and 1 World Series ring. Barry saw his best years throughout the 90's. If Ozzie is in the Hall, there's no way you can deny Barry's ticket to Cooperstown. 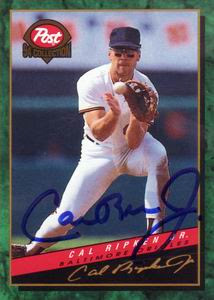 Notes: Ripken breaking Gehrig's consecutive games streak was one of the first big events after the strike that helped put baseball back in the spotlight, and is easily one of the greatest moments of the decade. 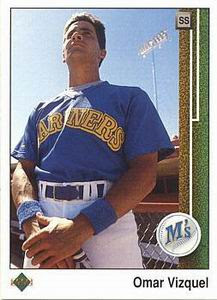 Notes: Way back when, there was a time when A-Rod made just a few hundred thousand dollars a year in Seattle. At age 20, Alex broke out in a big way, hitting .358 with 36 home runs and 123 RBI and finished 2nd in the MVP voting that year. Notes: Ozzie's career was winding down by the time the 90's rolled around. Despite that he was always fun to watch. 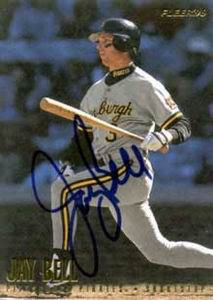 Ozzie was one of my favorite players growing up, and the fact that he hates Tony LaRussa makes me like him even more. Notes: Here's a guy who's career sorely gets overlooked quite a bit. He was quite possibly the best defensive shortstop of his era, but often is stuck in the shadows of the flashy big hitting shortstops like Nomar, Jeter, A-Rod and Tejada. Just like Larkin, I'd strongly argue Omar's HOF case. Be sure and vote for your choice of shortstop for the TMS All-90's Team. Check out the poll in the left sidebar.